This is the first story in the I Changed My Mind series, where I’m going to share stories of times I changed my mind about significant beliefs in order to model vulnerability and nuance, something I think is lacking in our public discourse right now. Hop back to the series introduction to read about what inspired this collection! I hope you’ll join me in the comments to share stories of when you changed your mind. As a reminder, this is a series to prompt one another to be vulnerable, be sincere, and listen — not to argue or debate. So, when have you changed your mind? I changed my mind about politics after voting in my first election. I had just turned 18. I voted for George W. Bush, because no issue was more important to me than being pro-life. This was a relief: making this issue a deal-breaking priority meant I didn’t have to dig through all the information floating around about the candidates that seemed glossy and shallow anyway. Their websites made everything sound rosy. News articles pulled back or forth in a way that felt unhelpful. This was the only straw I could grasp at that made the decision make some sort of sense. Still, I felt guilty being a single-issue voter. That seed of guilt and anxiety grew two years later. I remember sitting in the student union at Davidson College watching the U.S.-led ground invasion of Iraq and feeling a sinking feeling. I knew there were many questions swirling around about why this invasion was even occurring. Immediately, and with startling defensiveness, my Christian friend rebuked me for questioning the president. She conflated nationalism and Christianity as easily as breathing, making it clear it was heretical in her mind to criticize our leader. That felt incredibly strange to me — how did the president and war become linked to our faith? Why didn’t she struggle with people dying like I did? I knew it wasn’t because she was a bad person. What did make it so facile for her? That’s the moment something switched inside me. As we continued to find out more about the war and how unjustified it was, I realized I had cast my vote wrong. I vowed to be more nuanced in studying candidates after that. This experience also started me on my journey toward understanding the organizations making up the Conservative Christian Right and the work they’ve done to control Christianity in America. What about you? Tell me about a time you changed your mind about a significant belief. 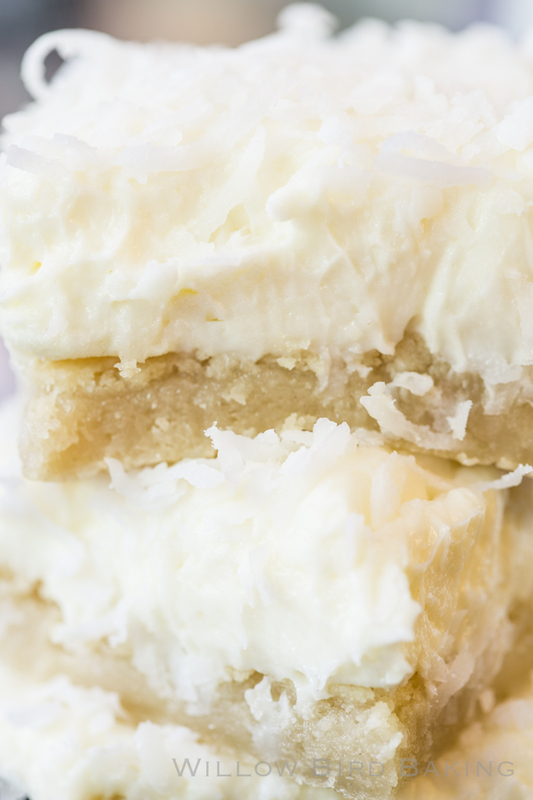 These Coconut Cream Sugar Cookie Bars are incredibly easy to whip up, but so delicious! Perfect for coconut lovers! Preheat oven to 350 degrees F. Prepare an 8-inch square baking pan with a foil sling sprayed lightly with cooking spray. Press the prepared sugar cookie dough into the bottom of the pan in an even layer. Bake for 18-22 minutes or until lightly brown around the edges. Let cool completely. 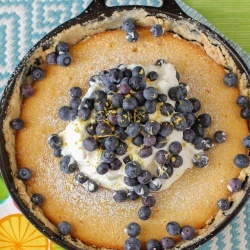 In a medium bowl, beat together the cream cheese, powdered sugar, and coconut extract. 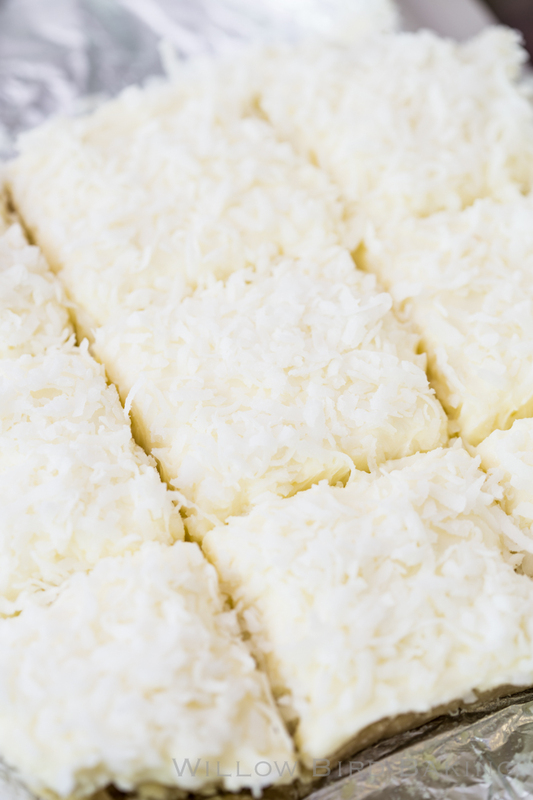 Spread evenly over the sugar cookie base and top with shredded coconut. Chill for 1 hour before cutting into squares and serve. Peanut butter cookie dough? Or sugar? I’m confused. I like your story. I was 17 during that election, but if I could have voted, I would have done exactly the same as you. And like your Christian friend, I was very defensive of the war when it first started. It was many years before I started to doubt myself. I know lots of smart people who are still single-issue voters, and I get why they make that decision, but I wish more people were open about any doubts they have about their candidate. I like your series. Thank you for sharing this, Katy — it’s so important to remember we’re all in process. What is hard for me is when people close themselves off to progressing, but even that I think is sometimes a protective measure after being humiliated. It’s valuable to me to try and keep lines open. It’s disheartening that you put aside the myriad issues facing the country so that you could work harder to control the healthcare options available to the women who need them. I enjoy your recipes, but I can’t support someone who actively wants women to be forced to give birth, so I’m unsubscribing. Thanks for your comment. To me, it highlights a risk that might keep people hiding in echo chambers instead of seeking outside input. Here, in a story series designed to highlight transformation and share mistaken (sometimes embarrassing, sometimes harmful) beliefs we feel we’ve held, you decided to shut down an exchange because of a still image of where I was at one point in my trajectory — proving how risky it is to open yourself up and share your process, because of just this sort of flounce. Nevermind that this story is a snapshot of where I was when I was 18-21, not where I am now at 32. Nevermind that the entire series is intended to encourage people to avail themselves to change, which requires bravery that is undermined by this sort of public zap. If you read this with empathy, you might find that the issues facing our country are, indeed, exactly what pressed on my heart and changed my mind (and this might be useful for how you approach change in your own life or in shared dialogue with others — that’s the goal, not absolution or kudos). And if you continued reading the series, you’d see one of my future posts about how I changed my mind and am now pro-choice, a transformation that has a lot of bearing on our shared work to protect women’s healthcare. We could find ourselves working together with shared purpose. To me, our comment exchange is a good illustration of why it’s valuable to share vulnerable processes in the first place — and what often unfortunately happens instead. I hope this is helpful to you somehow, too. Well said, Julie! You approach situations leading with compassion and empathy, something our country needs. I like this discussion, where we question prior decisions. And of course , we do. In some ways, we were different people in our past. But perhaps, we can use more wisdom now, when we make more informed decisions, not looking at one aspect with stuff now. I know many who voted in the election regarding a single issue, and a few regret it now. Some are still okay with their decision, but it’s only been a little while. But in our private lives, for example, I regret working when my son was young. But you can’t go back and change things. Life is so complex sometimes! Thanks, Cindy! I feel like if we can share our own journeys, others may find inspiration for their own. May we grow wiser together! I was raised going to church. Wonderful memories of a loving supportive non denominational neighborhood church. Learning the good stories of a timeless book. However, as an adult I don’t identify with those who currently go out of their way to label themselves Christians. I don’t like how you have to be Christian to be patriotic. I don’t like how it’s preached that God loves everyone and yet the very humans who claim to portray God’s actions are the intolerant judgemental ones. That said I know good solid human beings that are kind and generous souls. Some are quiet Christians and some are not religious in any way. One of the latter is my husband. He wasn’t raised going to church. My point is if more people lived by example instead of showboating labels, I think there would be more kindness and tolerance in the world. I also don’t like that because I am pro-choice I’m somehow a baby killer. I would never personally choose abortion and would hope no one else does. But the reality of it is that it’s no one’s business except the mother and hopefully the father. So why would I base my political voice on something that will not effect my everyday life? This is where we can show by example. Clean water , air and knowing what’s in my food? That affects me. Available mental health services and health care? That affects me. Why? Because I’ve had times where I had little or no insurance. It sucked! Fortunately I am now covered. But it’s not right that you have to be lucky enough to have those opportunities to either have that as a job benefit or be able afford to pay for it. I know how stressful it is to not have insurance and not be able to afford it. How much better would the world be if we removed that one stressor. That is just me. I can’t imagine having dependents! Don’t get me started on pre-existing conditions. It’s not right that medical needs should render a family financially defunct. Especially when those that we vote in get a free ride for life. Not being able to afford healthcare is NOT synonymous with being a lazy deadbeat welfare loser. I strongly feel there would be less need to have abortions if people had proper access to healthcare and mental health services. Better life choices benefit everyone bit it has to start somewhere. Your physical health can greatly affect your mental health and ability to make better choices as well as learn from your mistakes. I also thought I was more right leaning. But the last few years with the ultra right wing has just really turned me away from that. Oh and thanks for the recipe! I am making them to share at a guild meeting and needed a GF recipe. Sorry for the novel and typos from tapping on my phone! Your story really made me think about what shifted for me. It’s healthcare for me. I’m not saying current stuff is 100% but it’s a start. We should add to it instead of takeaway. I love this story because it really takes us through your process and what matters to you — and pinpoints what shifted in your thinking. Thanks so much for sharing, Andrea! I am, and have always been, pro-choice. I have also been a single issue voter (my issue has been sensible gun control). I appreciate you being candid about your thought process. Things are so rarely black and white, althought that is how we are presenting them in public conversation these days. I myself have been very guilty of that recently. 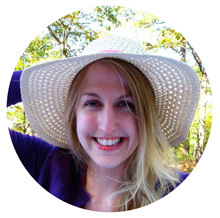 Thanks for reading and sharing, Kellie!! Have a lovely day and thank you for being YOU!